24 November 1938: Commander, 5th Panzer Division. 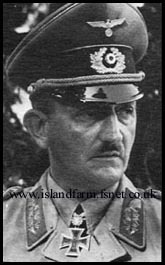 26 October 1939: Commanding General, XIII Army Corps (corps served in the Western Campaign; later designated a 16th Army assault unit for proposed Operation "Seelöwe" [Sea Lion]--the invasion of Great Britain). 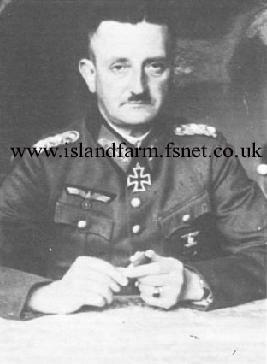 1 November 1940-10 June 1942: Commanding General, XXXXVI Panzer Corps (corps engaged in Russia from 22 June 1941). 1 September 1942-1 December 1942: Commander-in-Chief, 9th Army in Russia. 1 December 1942: Commander-in-Chief, 15th Army in France. 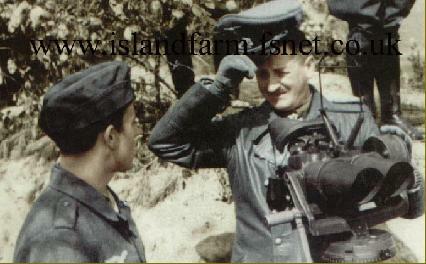 15 August 1943-26 October 1944: Commander-in-Chief, 10th Army in Italy. 26 October 1944-15 January 1945: Acting Commander-in-Chief Southwest in Italy (stood in for Generalfeldmarschall Albert Kesselring who was recovering from head injuries sustained in an automobile accident). 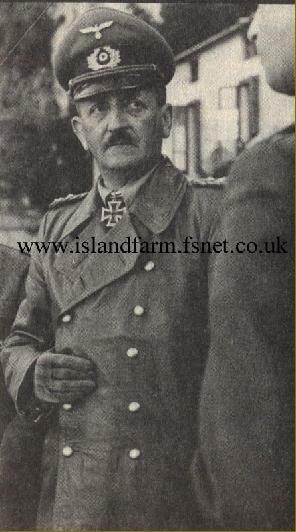 29 January 1945-9 March 1945: Commander-in-Chief, Army Group Courland in Latvia. 10 March 1945-2 May 1945: Commander-in-Chief, Army Group C and Commander Southwest in Italy. 30 September 1947 transferred to US custody for discharge. Knight’s Cross of the Iron Cross: 24 June 1940, General der Panzertruppe, Commanding General of the XIII Army Corps on the Western Campaign. Oakleaves (No. 456): 16 April 1944, Generaloberst, Commander-in-Chief of the 10th Army in Italy. German Cross in Gold: 22 April 1942, General der Panzertruppe, Commanding General of the XXXXVI Panzer Corps in Russia. Prussian Iron Cross, 1st Class (1914): 23 April 1915. Prussian Iron Cross, 2nd Class (1914): 13 September 1914. 1939 Bar to the Prussian Iron Cross, 1st Class: 28 September 1939.